Another morning of early mist. The last morning like this quickly turned into one of rain which in turn became persistent. We hoped this would be different and started with a visit to the local supermarket for some badly needed supplies while we gave the morning a chance to decide what it was up to. Fortunately the sun did its work and burned off the mist. We seemed to be in one of those areas where, as clouds approached, they dissipated – the smaller ones at least. All around us, halfway to the horizon, the cloud bank was clearly considerably thicker, if not solid, but we seemed to be in a relatively settled area. 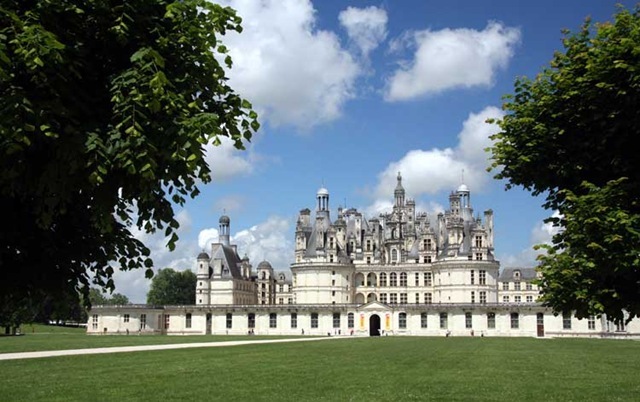 ‘T was time to leap on the bikes and return to Chambord illuminated by sun. Photographs of this sort with dull grey skies just don’t cut it. 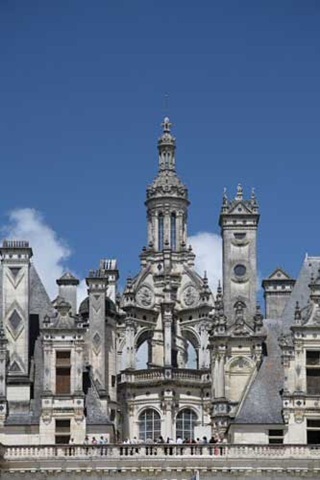 It’s about a ten mile round trip to Chambord which we could comfortably fit it in before lunch. Having returned and after a lazy lunch in the sun without having made either of our Lafuma chairs collapse, we were still under our localized hole in the clouds and basking in sunshine. It feels so much more French in the sunshine. This area has a network of absolutely excellent cycle tracks so we encouraged our legs to spring into action again and cycled off on some of our favourite routes to do a circuit to Mont-prés-Chambord, Cheverny, Bracieux and back to Huisseau-sur-Cosson. On the way to Cheverney we paused to admire a hen harrier working some fields. This year seems a little odd, apart from the less than settled weather. France is usually lousy with buzzards whirling around the skies but we have seen very few. We have, however, seen more hen harriers. They behave very differently from buzzards, cruising quite low and slowly over fields looking for a spot of lunch. As we were leaving Cheverny for Bracieux, there seemed to be a very nasty, black averse (shower) approaching. Disturbingly, it was clearly approaching a little faster than we seemed to be cycling. Since we had unwisely left our washing out in the sun and it would be dry by now, a little panic set in and we chose to cut short our trip and hasten back to save it. Success, we beat the averse. After rescuing said laundry and after a refreshing beer or two, our hole in the sky closed and we got our threatened dowsing.